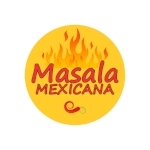 Masala Mexicana was founded because of our passion for food and photography. Celia is the Chef and Co-Founder, Amit is the CEO, Co-Founder, and bold taste tester, and the newest addition to the team - Virat is the project manager and food critic extraordinaire. One day, while fantasizing about food we started thinking of all the similarities between Indian and Mexican cuisine. We both like our food spicy. We both like our food fresh. We both like our food full of flavor. And, there are already many staples in both cuisines that are quite similar. Have you ever noticed that when naan is cooking, it smells like flour tortillas? or that the ingredients in paratha are not that different from those in a gordita? or that kheer and arroz con leche are basically the same thing? So, we started thinking of Mexican recipes that could be tweaked with some Indian influences and vice-versa and, Masala Mexicana was born. The goal is to post at least 2 recipes per month, so come back often to get new recipes and please feel free to send questions / suggestions / success stories. Every now and then, we'll post traditional Mexican and Indian recipes but for the most part we will post original fusion recipes to get the best of both worlds. This is Masala Mexicana. Buen provecho! I constantly and endlessly fantasize about food - all kinds of food. I have absolutely no training in cooking/baking, other than having been raised in a Mexican family and being surrounded by people who love food. At an early age, my grandma - Doña Adela - taught me the importance of showing love through food. My fondest childhood memories revolve around her small kitchen table where my siblings, cousins, aunts, and uncles took turns to eat the most delicious flour tortillas delicately flavored with butter and tomatoes, the perfect balance of spices in the Sunday Pozole, and the most anticipated meal of the year: Christmas Eve Tamales and Champurrado. At 17, I moved to Boston for college and my love affair with food was placed on hold. For several years, ramen noodles and pizza replaced my mom's Nopalitos en Salsa Roja, Chicarrones en Salsa Verde, and my all-time favorite Mexican dish: Chiles Rellenos... it was a sad time for my tummy. On a positive note, traveling away from home exposed me to the most ethnically diverse food I wouldn't even dream of in South Texas. I can proudly say that I have enjoyed carefully seasoned steak at one of the best restaurants in Boston, perfectly grilled Tortas in a Mexican mercado and delicious but difficult to pronounce dishes from a hawker center in Singapore - every single one of them so exceptionally scrumptious that the only way to describe them is poetry on a plate. In Boston, I met the most amazing man and we fell in love. Amit happens to be the pickiest eater I ever met. Before I met him, I had never attempted to cook Indian food. But the foodie and scientist in me couldn't resist the temptation to try to make this delicious food, so I looked for recipes online and headed to my local Indian grocery store in my attempt to impress him. I must admit, my first couple of attempts were only borderline edible, but he put on a smiley face and ate almost all of it. With time, I started getting more comfortable with the spices and my dishes started improving exponentially. Today, I claim that my aloo paratha - though not quite round - can make anyone happy, my aloo ghobi is always perfectly seasoned, and my paneer butter masala can rival any Indian restaurant. Growing up, I was very particular about food - if I didn't like it, I didn't even want it near me. My mom is a great cook, so I rarely ever ate anything that wasn't cooked by her. The love that she puts into all her dishes, brings out all the vibrant flavors of India. This made me a spoiled eater and to be honest, a bit of a perfectionist when it comes to food. When I moved away from home, I traveled extensively, often looking for food that would satisfy my palate. I was a big fan of Italian, Mediterranean, and especially Indian-Chinese. Then, I moved to Texas for grad school (Hook 'em!) and discovered Tex-Mex food. What a surprise for my taste buds! I could sit down and devour pico de gallo, guacamole, and chiles rellenos all day long. I now consider myself a bona-fide foodie. My favorite dishes are chicken machurian, enchiladas, and hakka noodles. At Masala Mexicana, I'll be involved with strategy and planning along with behind the scenes work and leave the cooking to the expert, Celia. Most, if not all, of the recipes here will be inspired by my cravings. My goal is to share the unique taste from our family's kitchen to kitchens around the globe. As the Masala Mexicana Project Manager, Mr. Virat makes sure that we keep to a strict schedule. He has a no-nonsense approach to cooking: it must be fast, organized, and produce top-quality results. He is the toughest food critic in the industry. He currently only provides a binary critique: yucky or yummy... we're working on that! Unlike most other toddlers, Virat does NOT enjoy chicken nuggets, mac & cheese, and candy. He can, however, devour salsa by the spoonful and finish an entire masala dosa. During a trip to Mexico, he befriended a local chef and carefully watched him make a molcajete salsa just for him. We can't wait until he's old enough to create his own magic in the kitchen!